Preface. Acknowledgement. Focus on workplace health. Stress. Backpain and back injuries. Substance abuse at work: alcohol and smoking. Cancer. HIV and AIDS. Healthy eating and the promotion of physical activity. Repetitive strain injury. 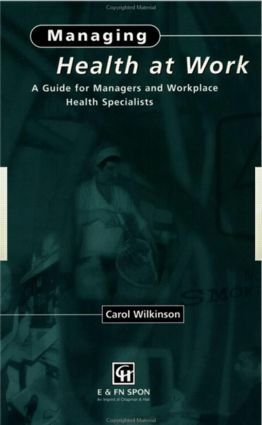 Managing health at work. Index.